We are proud to offer a full range of Synthetic Ropes for Industrial, Marine, Arborist, Climbing, Fall Protection and Utility Ropes. Synthetic fibers include: Nylon, Polyester, Polypropylene, Polyethylene, Kevlar®, Dyneema® and Spectra®. 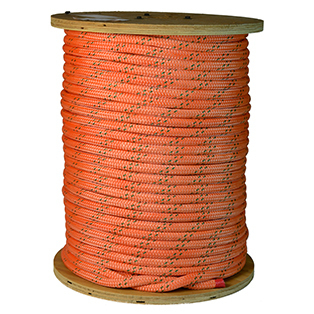 We offer Double Braid Rope, Static Kernmantle Rope Lifelines, 12 Strand Single Braid rope, & Pulling Rope.